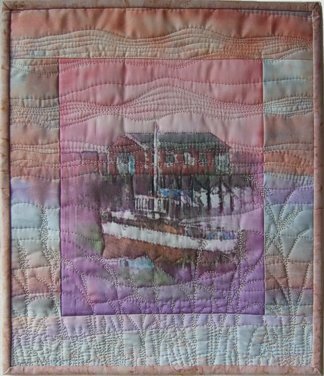 Here I have used one of the fabric panels that I designed earlier. 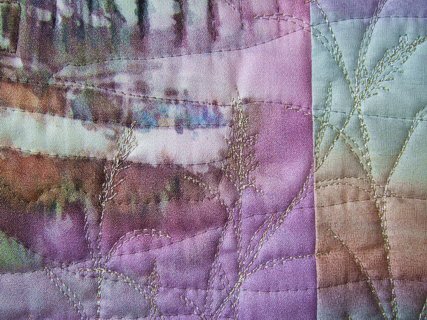 I added a set of borders of hand painted fabric from Skydyes before it was quilted with monofilament and silver metallic thread. 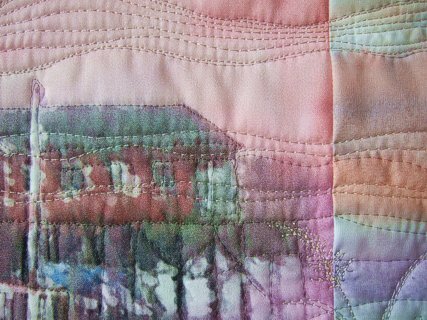 I quilted undulating lines for the mist, then freehand quilted some silver grass and straws in the foreground. Below are a couple of closeup details.